Kissaluvs brings us these great, basic wipes. 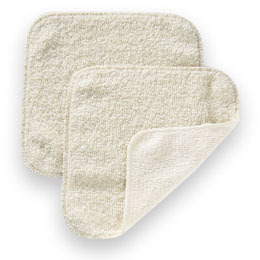 Single-ply cotton terry can be washed right alongside your diapers. Convenient 8 inch square size fits nice in the hand, and folded in half into a wipes carrying case.